This happens automatically: If another agent picks up a ticket, they return to the last viewed node, and can see each step taken previously by opening the History. Zendesk Ticket Data in your Scripts: Values in any custom field, the agent name, customer info, as well as Zendesk ticket tags and user tags, are transferred into your script so you can display them, or use these variables to branch via Logic Nodes. New Zendesk Theme to match Zendesk fonts and styling. This gives you a little more real estate for your content, especially in side-panel mode. 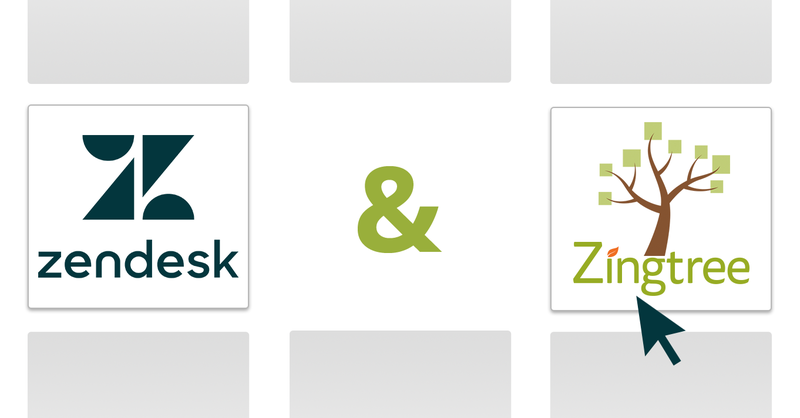 Toggle to share Zendesk data with Zingtree: Some customers don’t want ticket data shared with Zingtree. There’s now an option to disable data sharing. Removed “Flash”: Some customers experienced a “flash” when moving from ticket to ticket in pop-over mode. This is now fixed with this update. Install the Agent Scripting App (version 12) into Zendesk. Download the Agent Scripting app Version 12 here. For App File, locate the file zingtree-agent-scripting.zip you downloaded in step 1. Show Tree in Side Panel: Select this option if you want to display the entire tree in the right-hand sidebar when a ticket is open. Uncheck this to use pop-over mode instead. Display Half-Height: In Popover mode, the popup view will cover half the height of the screen. This has no effect when using Sidebar mode. Don’t share Zendesk Custom Fields with Zingtree: By default, the app sends custom field data from each Zendesk ticket to Zingtree so you can do more powerful automatic branching via logic nodes, as well as echoing customer information (like their name, for example). If your organization has data privacy concerns, you can check this option to disable data sharing. Zingtree API key: Each organization in Zingtree has an API key, which is used to match scripts. If you’re using one of the tag matching options, this is required. Your API key can be found at zingtree.com under Resources, API. requester_name – The customer’s full name. requester_email – The email of the customer. zendesk_tags – Any tags in the ticket. agent_tags – Any tags from the agent. agent – The Agent’s full name. agent_first_name – The Agent’s first name. To display one of these values, just surround the variable name with # characters. So to show the Agent’s first name in your script, enter #agent_first_name# in the content area of any node in your decision tree. Tip: Add #ALL DATA# to the content area of any node in your own tree to see all the variables sent to your script. Make sure the proper Zendesk field variable name is entered for Match Tree Tags to values in a Custom Field in the App Configuration. You’ll see the label for the field as it appears in Zendesk’s ticket form and the Zendesk variable next to it. In the above example, the Product custom field variable is custom_field_22899289. 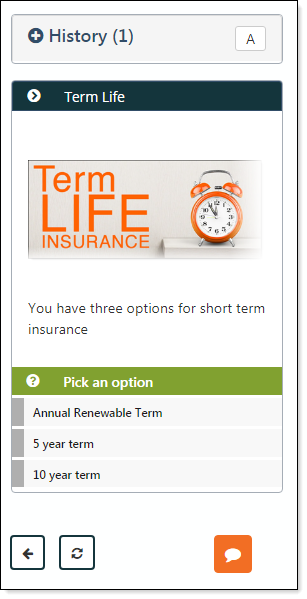 This is a drop-down selector, and the Zendesk values for the field options are astrology and insurance. Just like the above example, you can also use Zingtree for data entry and have that data automatically transferred to your ticket. The key is to use the same variable name in Zingtree as you used in Zendesk. The Integration Setup Info link in the sidebar will give you those Zendesk variable names. For the best user experience, we recommend using the Zendesk Apps theme in your trees that display inside of Zendesk. This will give you more room for your content (since the fonts are smaller), and also match the look and feel of the rest of the Zendesk experience. In Zingtree, open the Settings tool for your tree. Choose either Buttons or Panels as the Default Display Style. Click Pick a Color Theme. Choose Zendesk Agent Scripting as the theme. Click Save Theme and Colors. This Zendesk Agent Scripting Demo shows how to implement some of the basic integration features. You can install it into your own Zendesk configuration by entering tree ID 350546744 in the App Configuration. In the App Configuration, enter 6a103737e44e4aa6e1e4b6b0bcb46f83 as the API key. Also make sure Match Tree Tags to Zendesk Ticket Tags is checked.